Non-competitive business practices or poor customer service; what would you call this recent experience with the US Postal Service? Monday evening I went to get my mail when I noticed our community mail box had been knocked down. I went ahead and checked for mail, no luck. Tuesday evening, same thing, no mail. This is when I figured that the mail is not going to be delivered if the boxes are not accessible from the rout carrier�s vehicle. On Thursday I call my local post office and they tell me I can pick up my mail at their location and they have no idea when my mail box will be repaired. On Friday, I go to the post office to pick up my mail and learn they don�t have my mail. It is at an annex. If I call the annex, they can deliver my mail each day to my local post office and I can come pick it up. I call the annex, they said they can deliver my mail to my local post office on Saturday and I will need to call each day to get my mail. I cannot just let them know to keep delivering it there till I say otherwise. And, they have no online method of communication. At this point, I am ready to find another way to receive my mail. This is how the free market system works. Business will go and stay where it is appreciated. When the service/cost offering deteriorates, then people find another solution. Thus: FedEx, UPS, Email, Fax, and Ecommerce are eating away at the US Postal System. If I was paying an independent provider for mail service, how might this story have changed? 1.����� The carrier would have come to my door, delivered the mail or left a note. 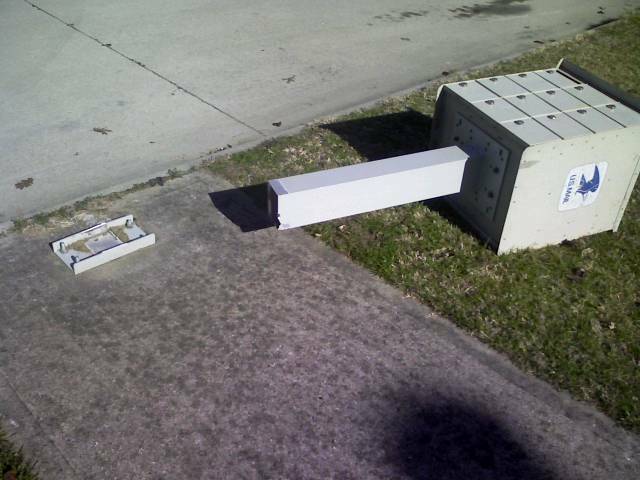 4.����� My monthly fee for mail delivery might be reduced until the mailbox is repaired. The list could go on but you get the idea. So the question is, would we be better off with a privatized system for mail delivery? J.R. Atkins is a Social Media Speaker and Consultant with Something Different Companies LLC.